Yesterday in London, Anna Wintour and Samantha Cameron spoke at the Ritz—the site of McQueen's first post-grad presentation—to unveil preview images of the Costume Institute's forthcoming exhibition, "Alexander McQueen: Savage Beauty." 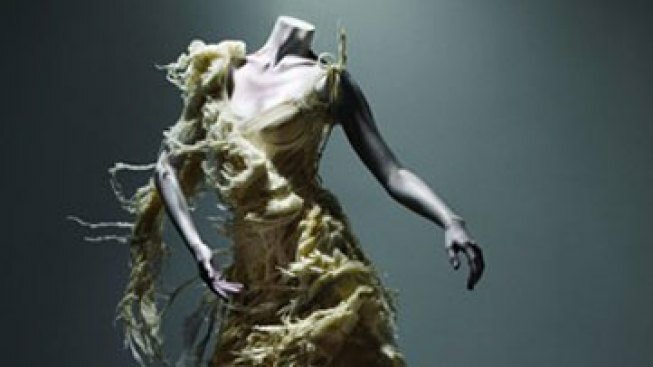 Undoubtedly the most anticipated fashion event of the year, the exhibit and accompanying Met Gala festivities will celebrate McQueen's fantastical, over-the-top creations starting with "Nihilism" in 1994 and ending with his post-humous collection, "Angels and Demons." Judging by Vogue UK's extraordinary preview images of the museum's exhibit catalogue, the show will serve not only serve as an exaltation of McQueen's work, but as a poignant (if not altogether overwhelming) reminder of the remarkable talent that has been lost. Stella McCartney and McQueen's successor Sarah Burton will co-chair the exhibit, which opens to the public on May 4.